Hispanic population growth has outpaced non-Hispanic population growth in Idaho for the last three decades. An ethnicity that refers to those who identify themselves as "Spanish," of "Hispanic origin," or "Latino". Hispanics may be of any race. 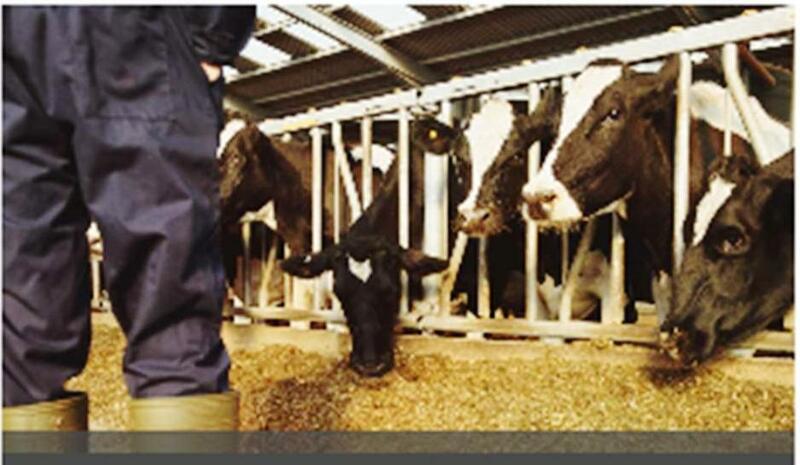 This study updates our 2009 analysis of how the dairy industryâ€™s workforce impacts communities in Idahoâ€™s south central region, commonly referred to as the Magic Valley. 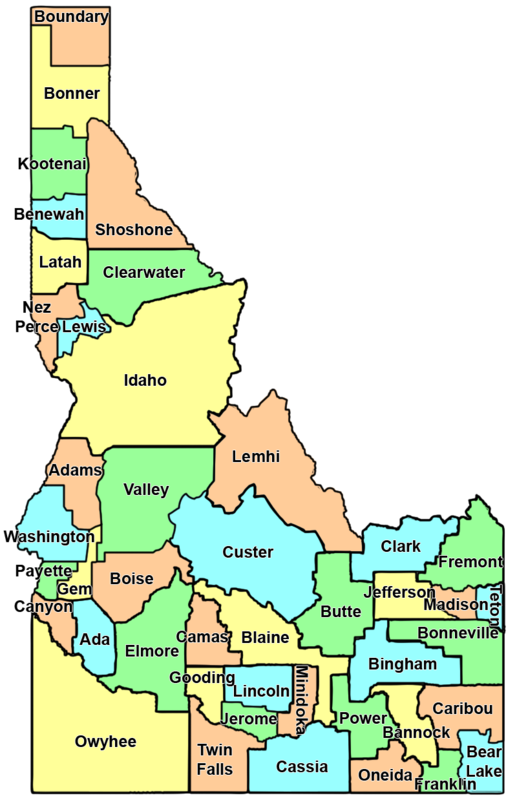 Idaho's civilian labor force is becoming more diverse, mainly because of the state's growing Hispanic population. In 2014, Hispanics made up 12% of Idaho's available labor force, compared to 7% in 2000. 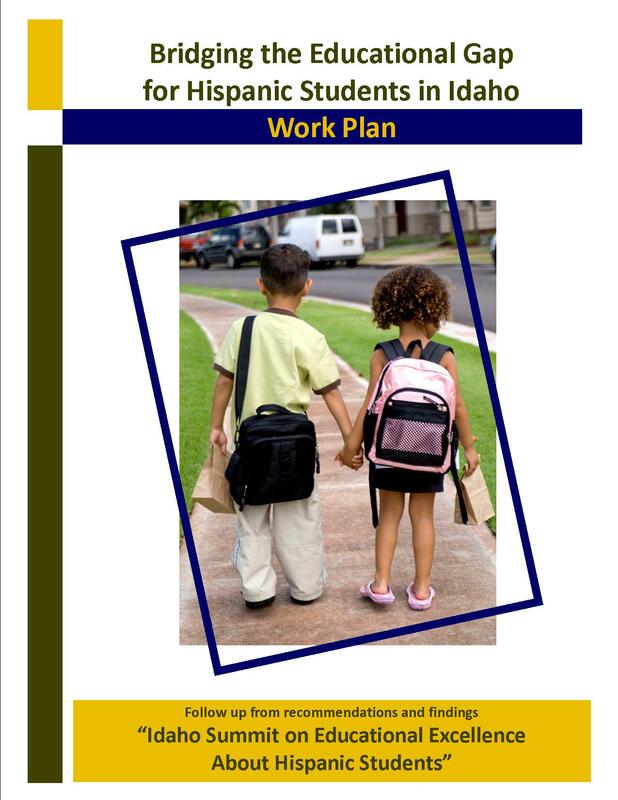 Hispanic students make up 18% of the 292,000 students enrolled in Idaho's public K-12 schools. These 51,000 students are overwhelmingly concentrated in southern Idaho. 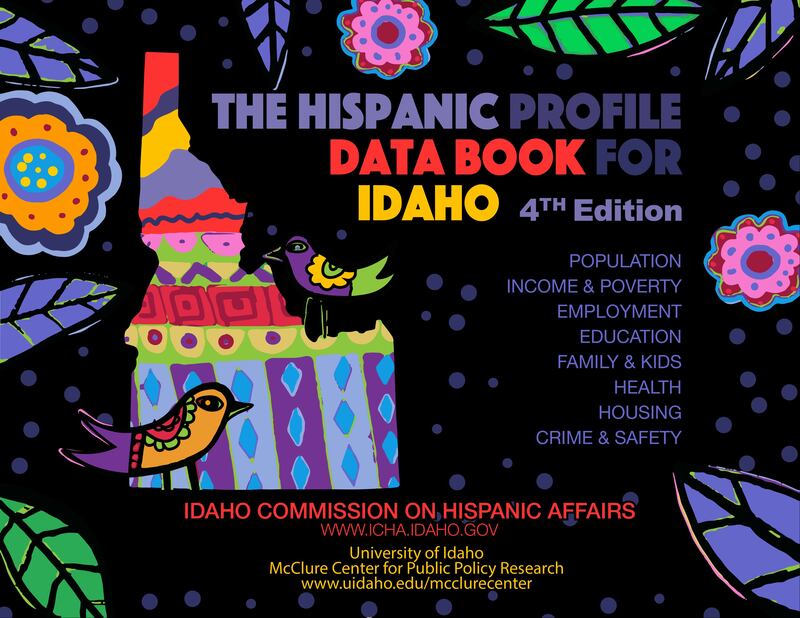 This report gives an overview of health status, behavior, and insurance coverage among Hispanic Idahoans. This is the inaugural edition of this annual public opinion survey. 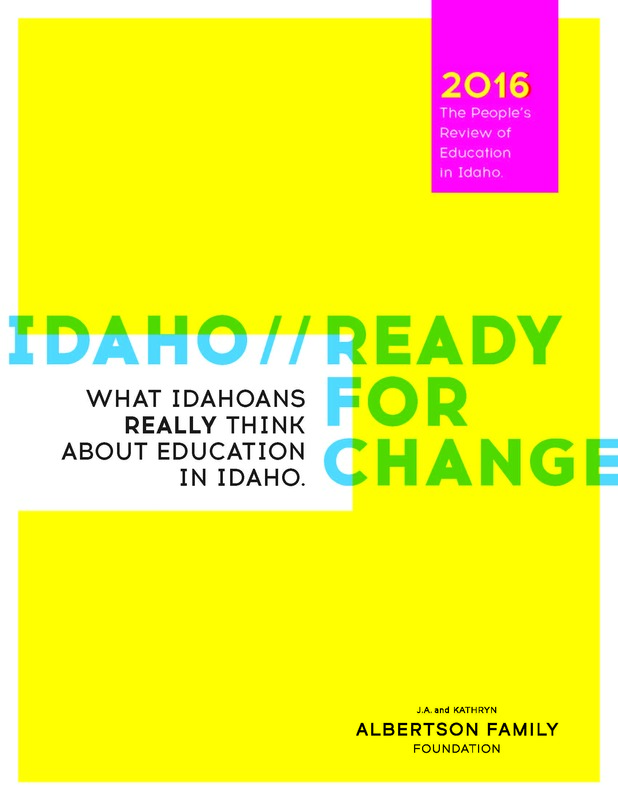 See for yourself what Idahoans think and value most about Idaho's public education system. 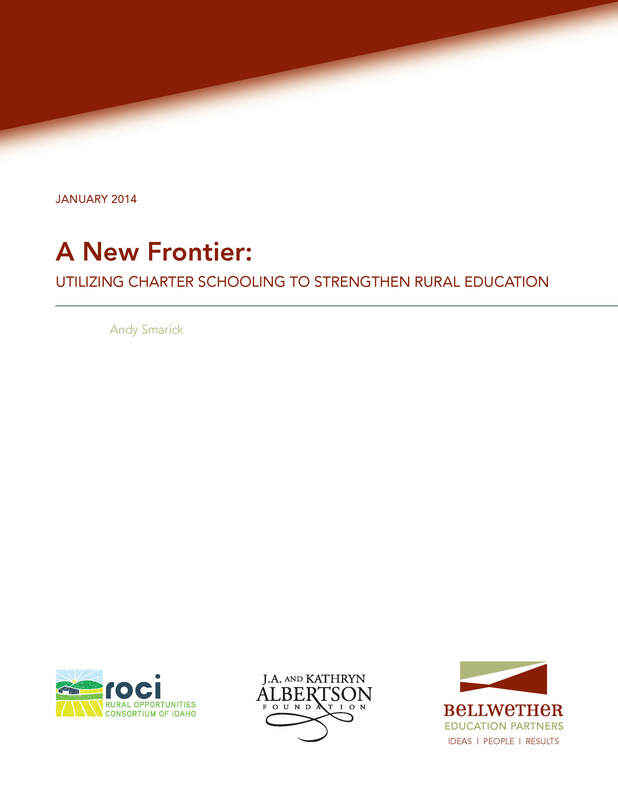 Public schools in rural communities enroll 11 million students, representing 25 percent of public school enrollment nationwide. 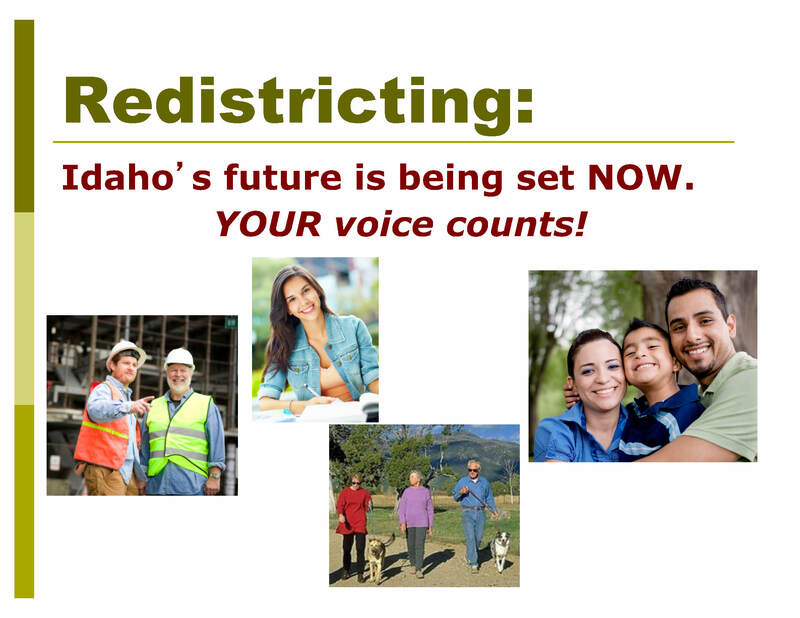 Redistricting: Idaho's future is being set NOW. YOUR voice counts! The process to align the state's political boundaries to match population changes. The "Idaho Summit on Educational Excellence About Hispanic Affairs" provided educators, community leaders, policy makers, and interested members of the public with a forum for networking and exchanging information about current education issues and needs within Idaho's Hispanic community and possible solutions. 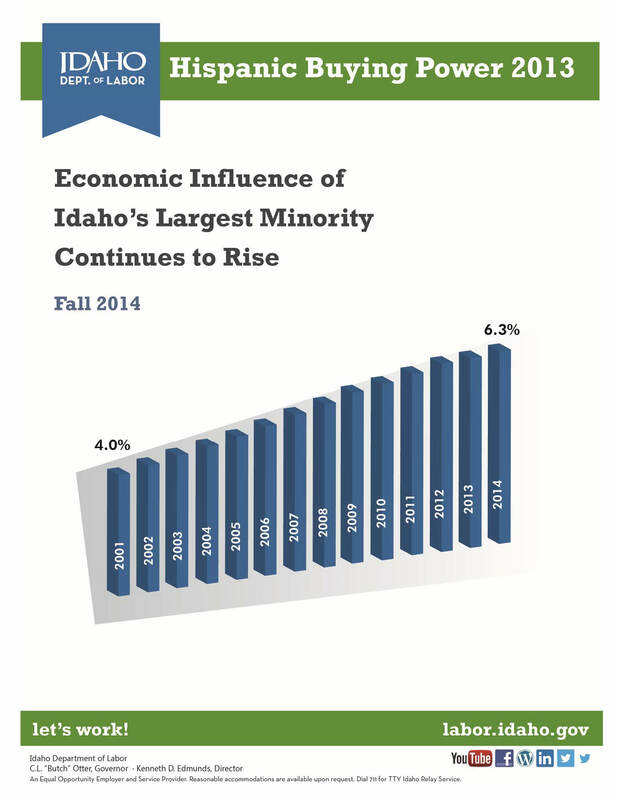 The economic influence of Idaho's largest minority continued to increase in 2013 even as the growth of buying power overall slowed in the postrecession expansion. 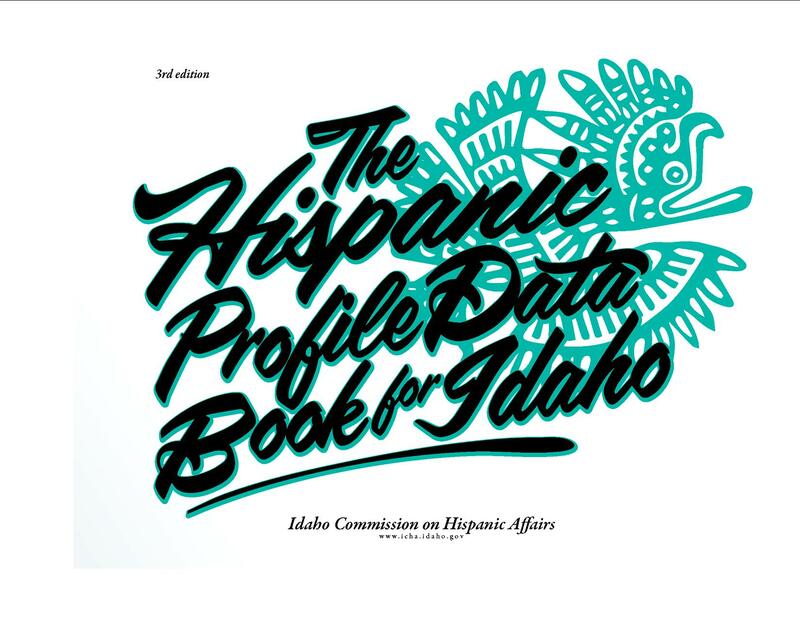 As the US Census continues to confirm a dramatic growth of Hispanic in Idaho, the demand for demographic data and information regarding this population continues to be an essential resource for understanding and serving this community. 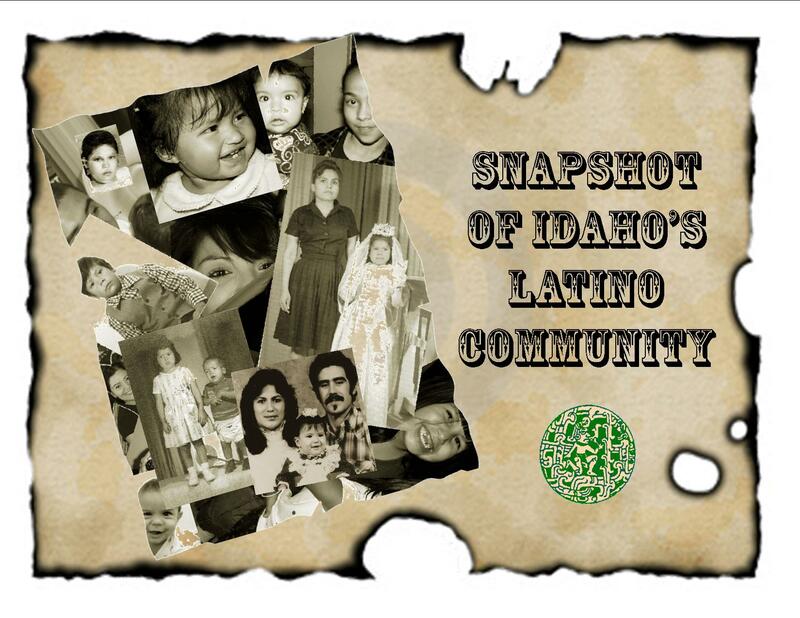 From 2000 to 2010, Idaho's Hispanic population increased by more than 74,000 (73 percent) to 175,901. The growth rate for non-Hispanics in the same decade was 17 percent (U.S. Census Bureau, Census 2010).